Stash or Trash #1 – Intro! I decided to start a new blog series, exciting! I figured, like many fellow makeup lovers with a larger collection, that I have a lot of stuff that I haven’t used for a very long time. Some of the things I have I haven’t touched for one year…or two. Some of my things I don’t even remember what I think about. So the goal with this series is to pick out some products in my collection that I haven’t tried for a while, or things I don’t remember what I think of, try them out for some weeks and then decide if I want to keep them or not. A way of phasing out products I don’t like or use, and a way to rediscover fun things in my collection. So with this intro I will present my Stash or Trash products and talk a bit about them. After some weeks I will do another post and go through each product, my experience with them and if I will keep them in my collection or get rid of them. I am hoping this will help me to either declutter a bit, or to just rediscover good products to use within my own collection. I have found plenty of gems when digging through my drawers so I do have hopes I can do that with this series. And honestly, I probably have some stuff that does not work for me or are getting too old that I need to get rid of. This Estee Lauder Bronze Goddess Liquid Bronzer I think I have used once, several years back. I don’t remember at all what I think about it, so I want to use it a few times. If I don’t like this one I can see myself getting rid of it since it’s quite a few years old and I obviously never reach for it. But I will give it another chance to see how it looks and wears before making a decision. Maybe it’s the best thing ever and I just didn’t discover it! Hope Girl Illuminating Powder is one thing I picked up, meaning ordered online, but never used. Frankly I did not really realize how this looked before I got it. I would have never picked this up in a store to put it that way. It’s just too glittery to be a powder and to much of a traditional powder to be a highlighter, but I will test it out and figure out properly how it looks in the skin. L’Oreal Lip Pain Matte is also something I picked up to try, tested a few times but for some reason I didn’t love it and I just put it back in my drawer and forgot about it. Now it’s time to properly figure out what I think about this formula. I have way too many reads to keep one with a formula I don’t like because it just will never be used. Time to figure out my final thoughts! This one is quite random. It’s a lipstick with a unknown name and brand that I got as a free gift with an order a while back. I just swatched it, but never used it. The thing with this is the same as with the L’Oreal lip paint. I have too many reds to keep one I don’t like wearing. Problem is I’ve never tried. Maybe this is the best thing ever! I have yet to find out. Can you believe Urban Decay palettes used to look like this? It does not have a name on it so I don’t know what it’s called. It’s probably way too old. I also have at least 4 of these shades in other palettes, so I am ready to declutter this unless I fall in love with it when I try it one last time. It’s also kind of tempting to keep it just for the sake of it. I mean, who has a old palette like this? It’s kind of a collection item? What would you do? Keep it as a relic or put it in the bin? I have to try it once more before making a decision. I bought a six-pack of tiny little lip tint wine bottles a few years back. They are so cute, but I just never reach for them. I think I need to rediscover this formula, and maybe that will make me start using them again! This Estee Lauder Pure Pops Cream Eyeshadow is also a forgotten old thing. I remember I used to use it a bit when I first got it, but honestly it’s been forgotten about for quite some time. I was not sure if it was still good, but the swatch look fine. I am ready to test this out and see if I can see myself reaching for it a bit more often. If not I should jsut get rid of it since it’s not exactly young anymore. Can you believe this is my first Smashbox product? It’s way past expiration date, but I stick to disinfecting my stuff and if it feels and smells good I am fine using it. I am not a pro and only use it on myself after all. I also drink milk after the expiration date and that’s always worked for me. So I like to take chances! This Smashbox Waterproof Shadow Liner in the shade Starstruck haven’t been used all that much lately. I am not even sure if it’s dried a bit. I will use it as a shadow base a bit before I make up my mind. 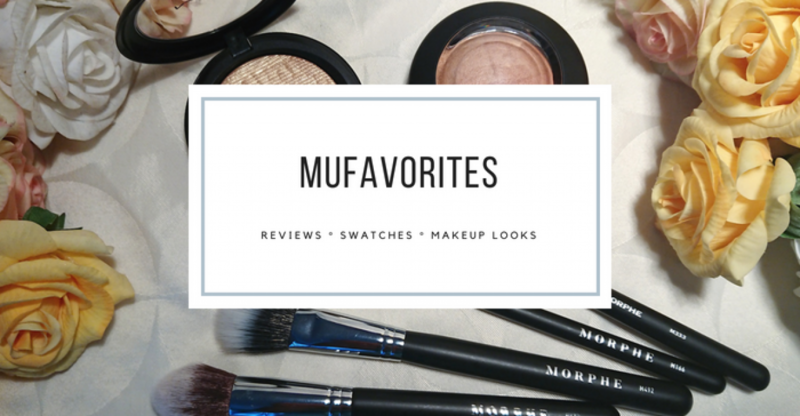 I got heaps of these Everyday Minerals mineral blushes that I picked up way back when loose mineral makeup was so popular (those where the time for messy bathrooms I ‘ll tell you!). This is the shade “Like Lady Bird Lake”. I got several more shades, but I think I will just pick out those that I really really like to keep, because I almost never reach for loose powder blushes. So I really should only stick to the ones I really like. I do like this, but I am not sure if I like it enough. But I will keep you updated! The last item this time is a Kiko Long Lasting Cream Eyeshadow. This is a light shimmery pink. Which I’ve never used. So I decided to throw it in this rounds Stash or Trash to figure out if I think I will use it a bit before it dries up, or if I think it’s time has come. And that’s all ten products I picked up this round. Now I will have some weeks to test and try everything, and I will do a roundup post with the results of what gets stashed back in the drawers and what gets trashed! Do you have any fun strategies to rediscover or declutter things in your own collection? Zoeva Cafè Eyeshadow Palette – Swatches & Review! Project Pan 2019 – Introduction! I love those Smashbox liners! I still have mine and they all work fine. This a very nice new series! I am also workin on some content around rediscovering my collection and just the thought process of which items to pick is exciting, so I was very curious to see what you picked. Actually I have literally none of those products 😀 So for me it will be like a first time review 🙂 About the old UD palette – I usually keep those old palettes, that I was reallly in love with once. But if it was just a palette, that is long in my collection, but I never felt strongly about it, then I am not keeping it. Pingback: Stash or Trash #1 – Recap!